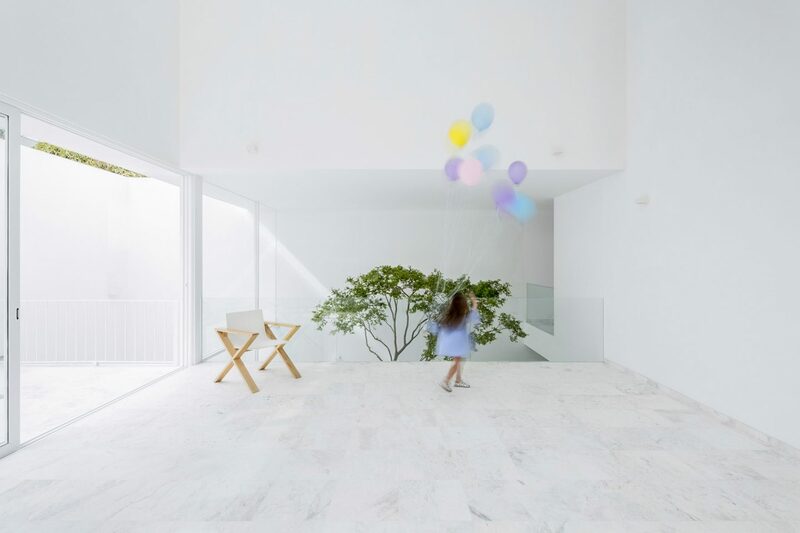 Architect Abraham Cota Parades has designed ‘The Cave’ with family life in mind. 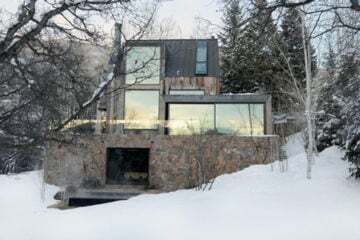 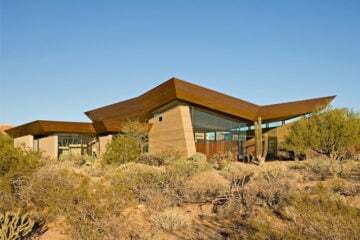 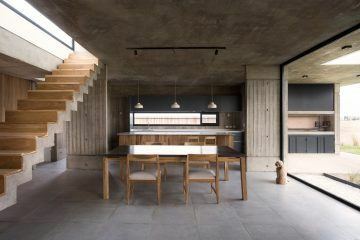 Despite a perhaps deceptive name, the property’s interior is filled with natural light and multi-purpose open spaces, perfect for family gatherings and shared activities. 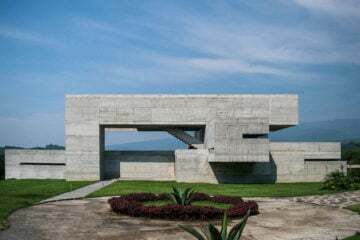 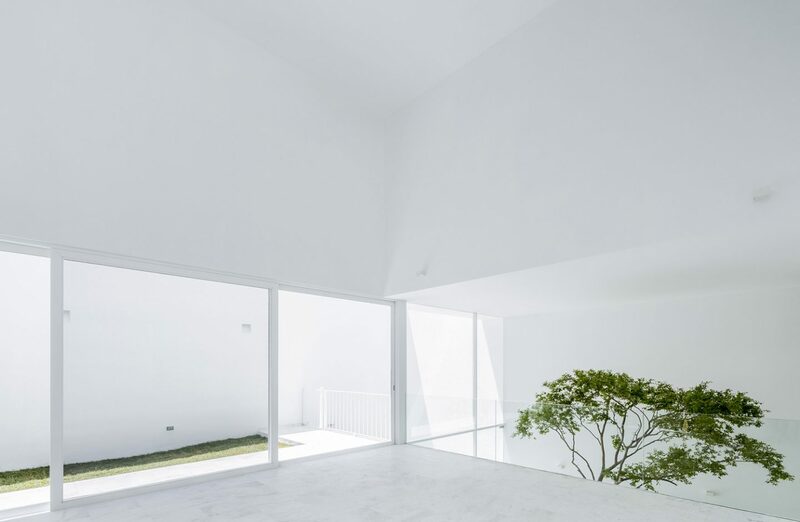 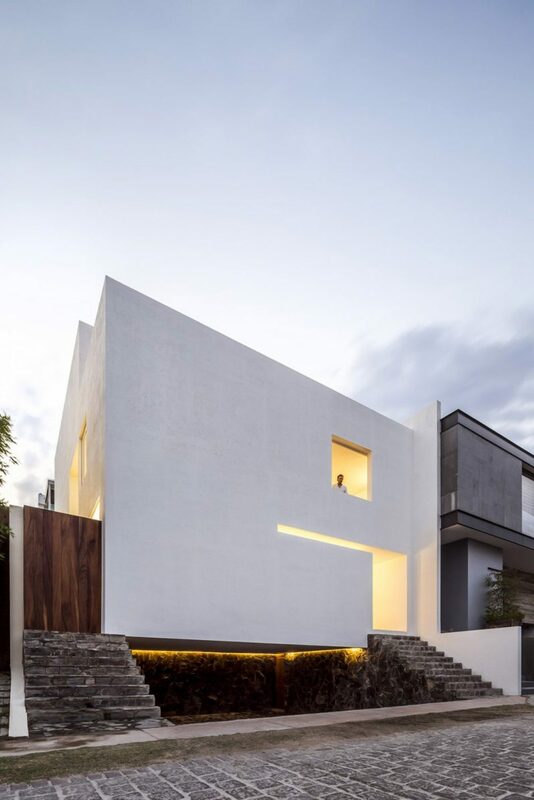 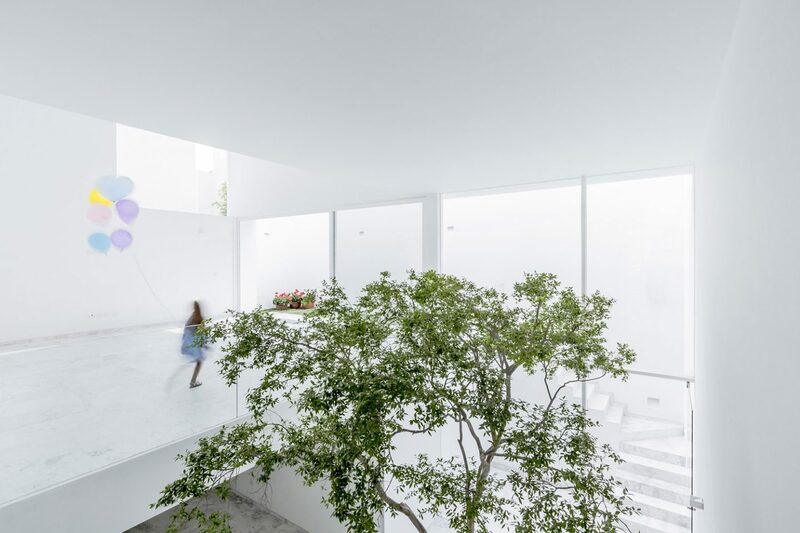 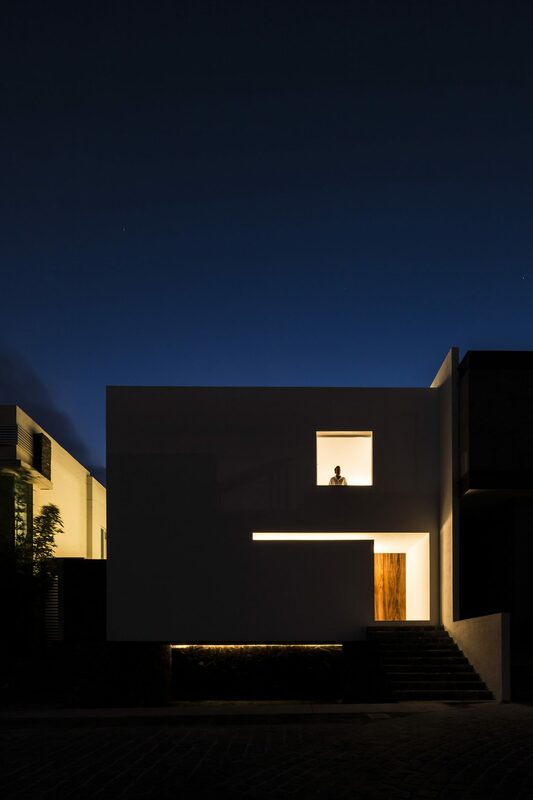 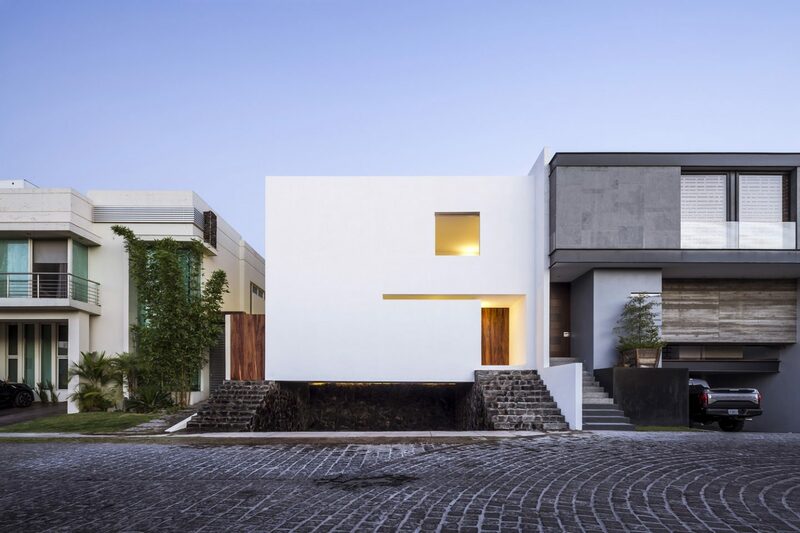 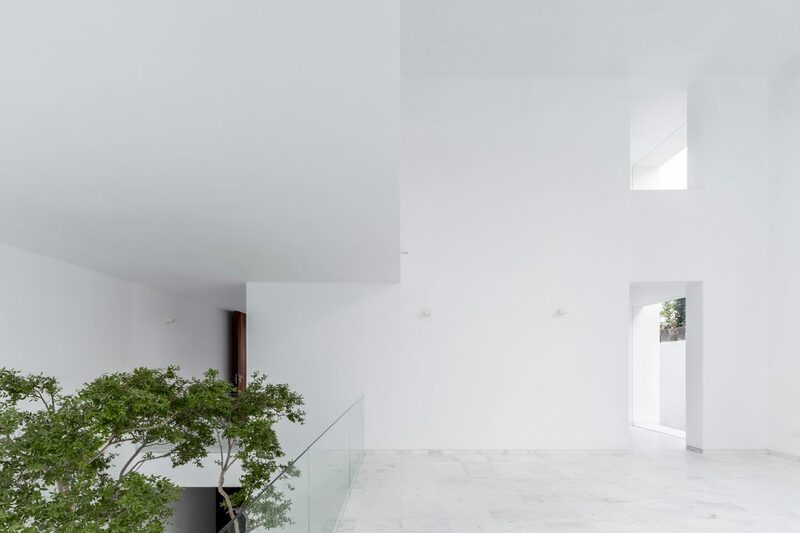 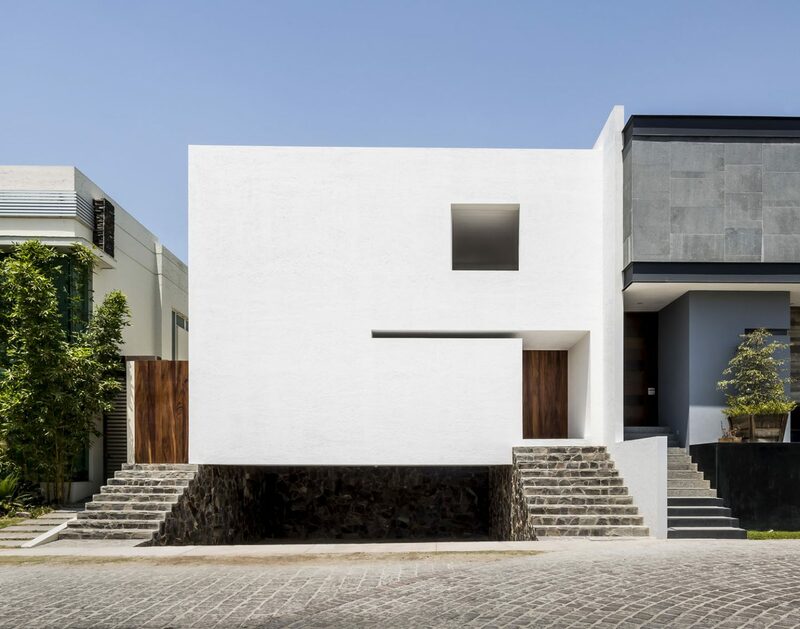 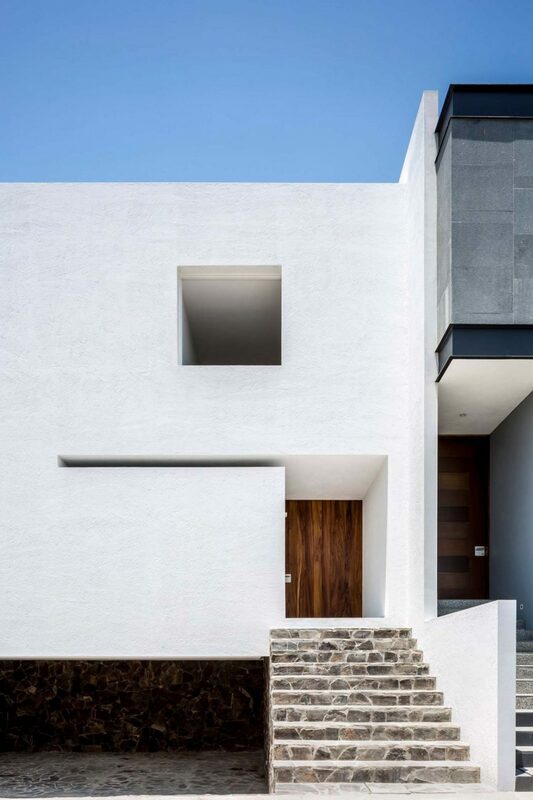 From an outsider’s perspective, the three-storey house appears as an enclosed white cube, granting the family their privacy amongst the many surroundings condominiums in Mexico’s city of Guadalajara. 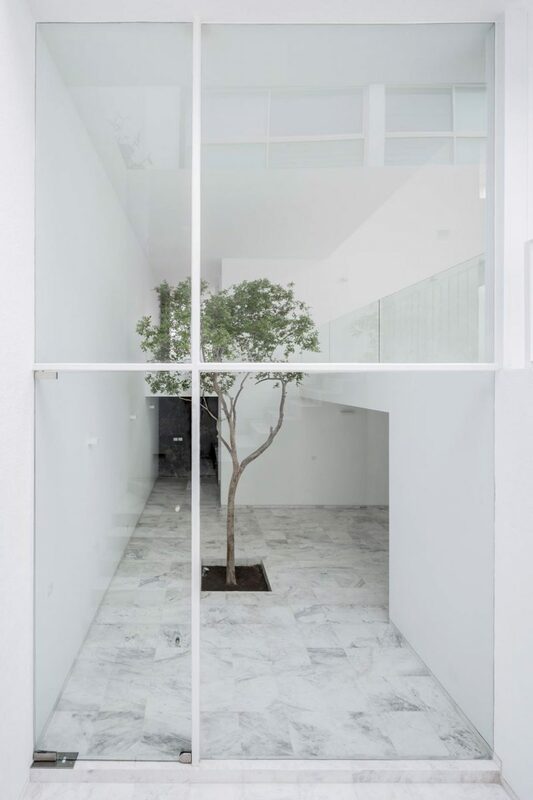 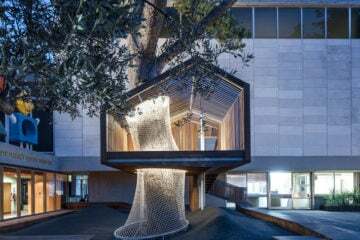 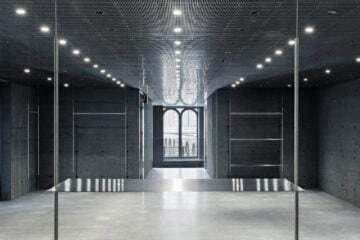 Cota Parades creates a tension between what is hidden and what can be seen by the public, by building a large window area enabling a view of a tree planted inside. 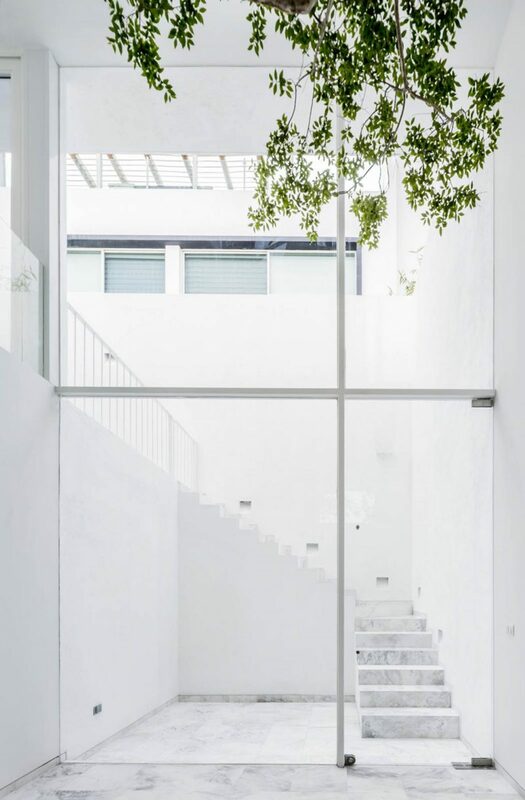 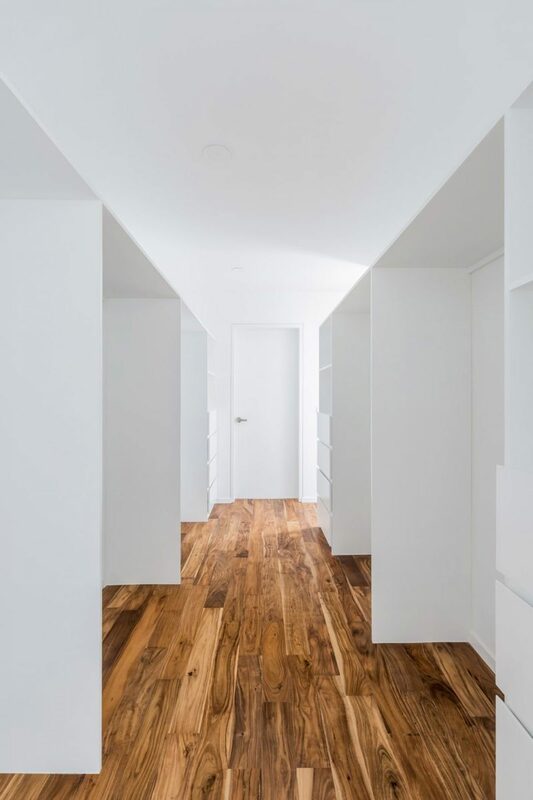 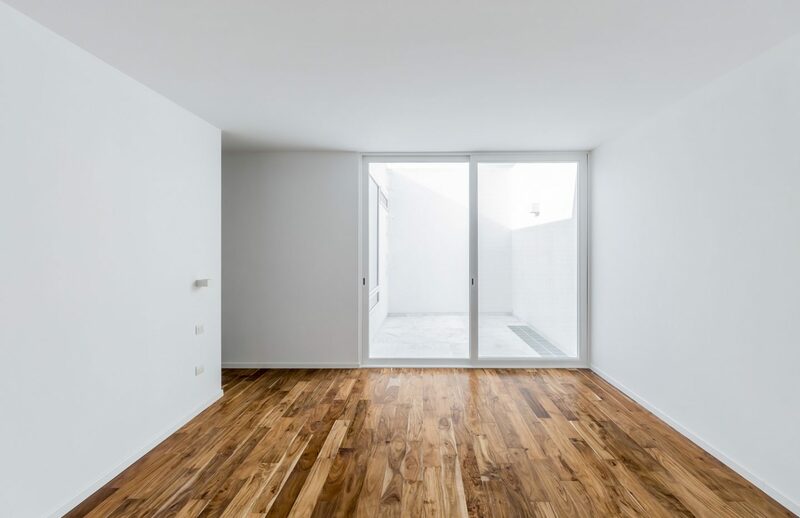 Through this, the architect is “showing openings that exhibit a contradiction,” explaining that “these narrow cracks show a characteristic from mankind, the longing of being known and loved.” Natural light floods the house through another window that extends across two floors towards the back of the building, overlooking a courtyard concealed from the public eye. 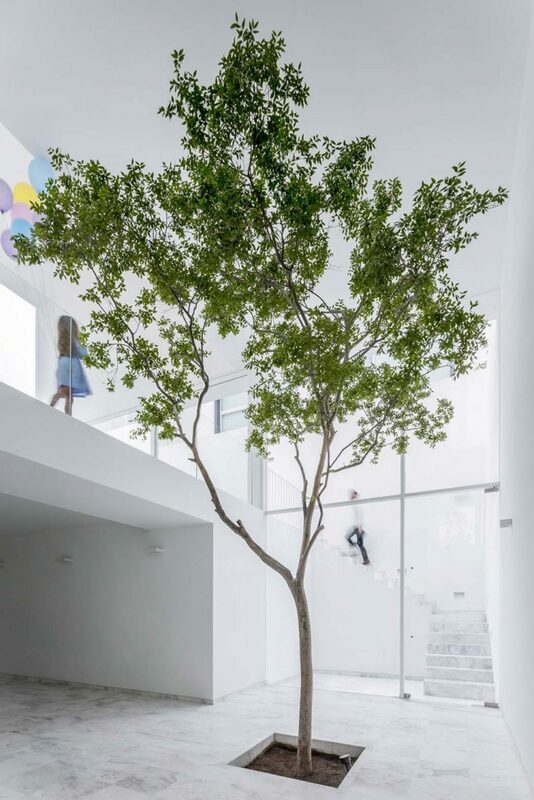 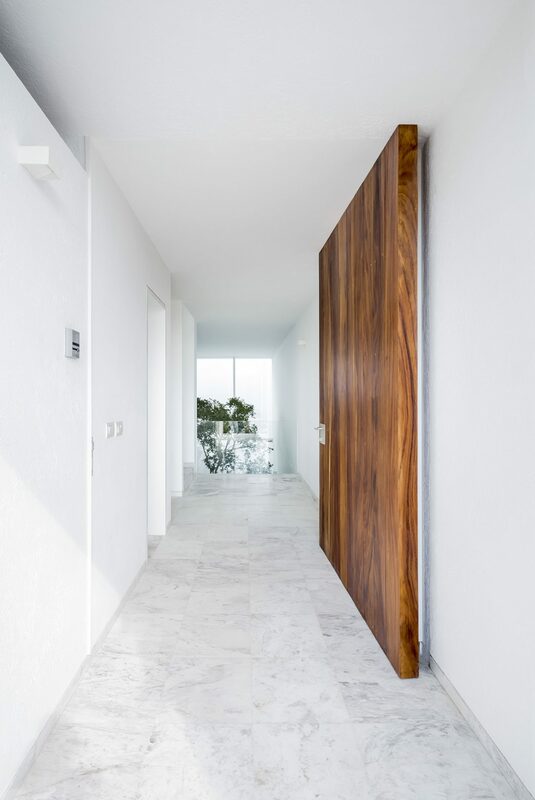 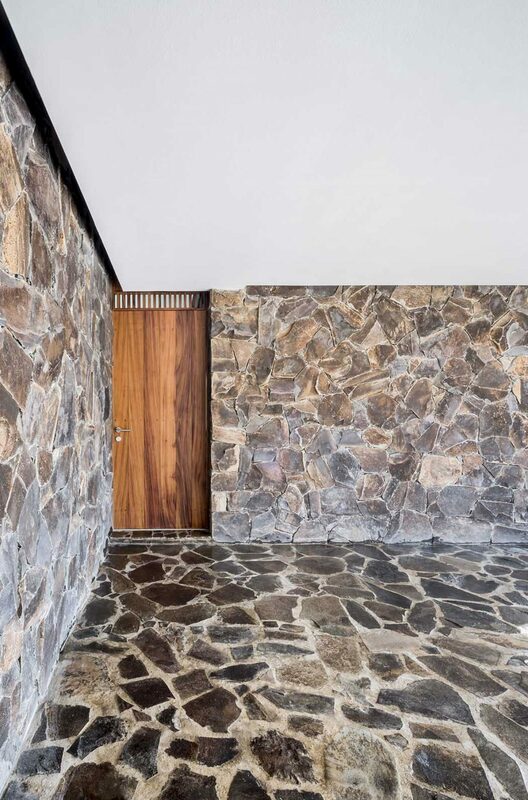 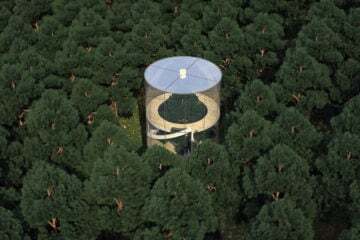 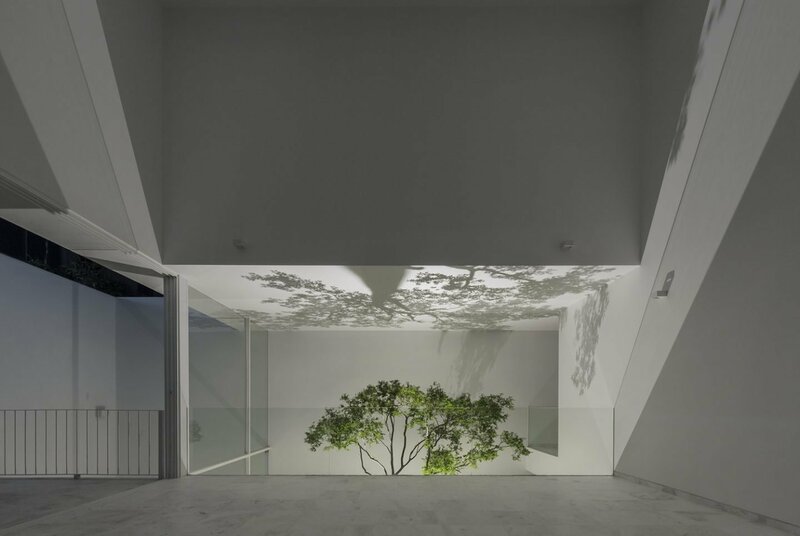 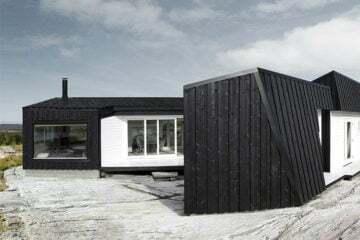 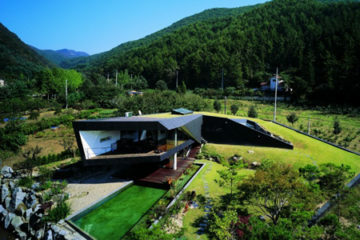 As if demonstrating the effectiveness of The Cave’s ventilation, the planted tree rises up to the second level of the house where the leaves fill a spatial void and greet those who enter the property, playing a role similar to that of a host. 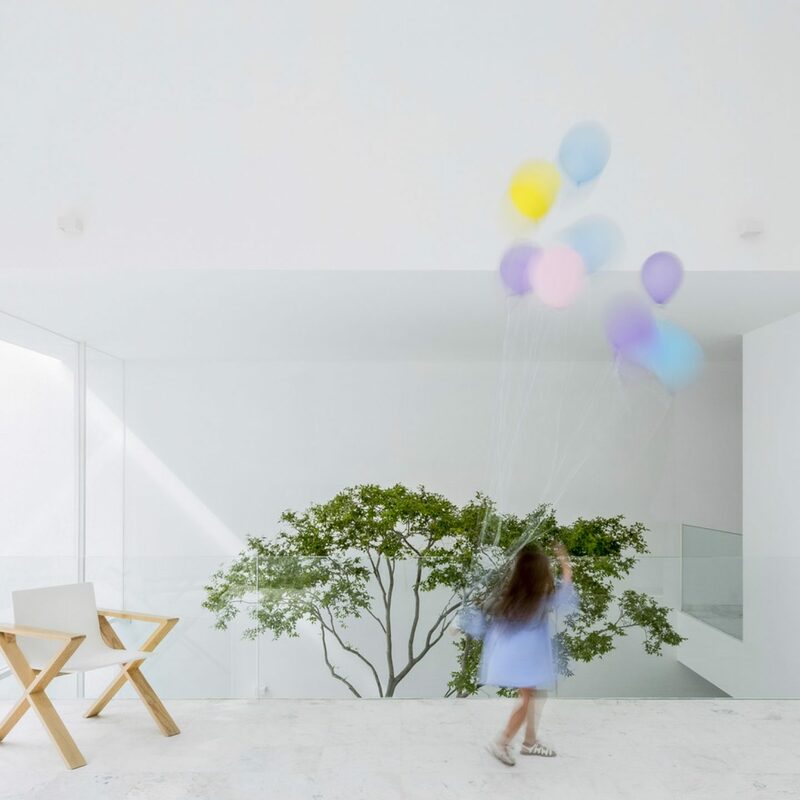 By constructing a double height patio, fresh air is able to circulate around a basement area, designed as a versatile space for family activities. 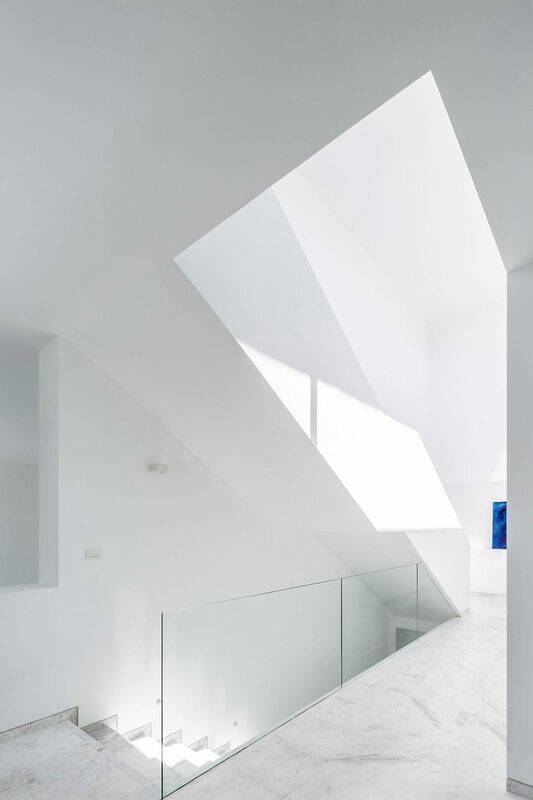 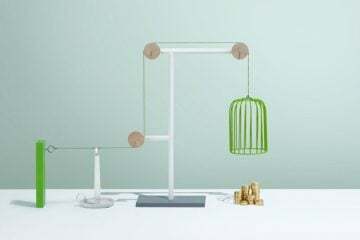 The living room, dining room and kitchen areas have also been designed open plan, and a sculptural element has been installed in the form of a glass banister handrail that leads to the bedrooms and roof terrace at the top of the house.